Man, how awesome is Jose Bautista? And that Ichiro? Frig, I wish he was a Jay. I’m checking out for the rest of the home games. Today was my final time watching a Cito-managed team at the Dome. Even with everything he’s done wrong, he’s a hard man to hate and I’m glad a game like today’s was the last I saw him manage — live and in person, anyway. Enjoy the rest of the season. 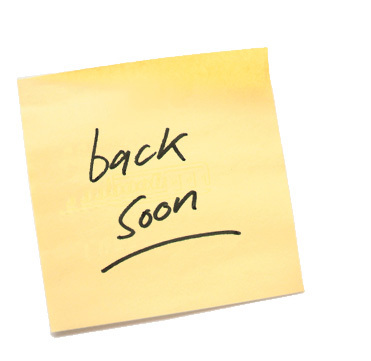 I’ll be back to my regularly irregular posting in a week and a half or so. All right, time to decide who gets my Jays tickets. If you’re just joining us, you can read the original post if you’d like. But the basics are, well, basic. People were asked to submit what they would put on a sign to take to Cito’s last game as The Manager if Cito was guaranteed to see the sign. The results of that are in the poll below. Vote for your favourite and the winner gets my Toronto Star Season Pass for the final six home games this season. Voting closes on Monday, Sept. 20 at 11:59 p.m. Good luck to all contestants, including the panhandler who sells copies of Metro at the corner of Yonge and St. Clair. Do you like nosebleeds? How about a free ticket to a baseball game or 6? If you answered yes to either of those questions, boy howdy do I have a contest for you! I have a Toronto Star Season Pass. Due to circumstances not entirely beyond my control, but that I have no interest in changing, I won’t be able to attend the final 6 home games this season. 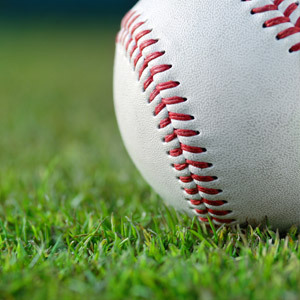 So, in an effort to share the baseball love, I want to give my pass away. And I don’t want to give it away to just anybody, I want to give it to you! But which one of you will be the you who gets the pass? The Blue Jays’ final home game this year is “Thank You Cito Night.” So what I’m looking for is simple: If you could make a sign and Cito was guaranteed to see it on “Thank You Cito Night,” what would your sign say? Post your answer in the comments section below. I’ll gather the best answers and put them into a poll and let you, the readers, decide who gets the pass. Optimism may be dead, but it’s Opening Day and I can’t help but be a little excited. As I commented over on Drew’s great post, the fact that optimism is dead is actually helping me with this season. When there are no expectations, it’s incredibly difficult to be disappointed. I guess in a weird way, Cito’s complete inability to run a team may have saved me from being an angry resentful Jays fan this year. There’s a lot there I could be upset about. But I’m not going to do it. I’m sure I’ll break down and get stupidly worked up about the manager’s moves (or lack thereof) before long, but right now I’m just going to bask in the glow of baseball happening for real again. The fine folks at Out of the Park Developments recently set me up with a preview copy of their 2010 baseball game. I haven’t had a whole lot of time to play around with it yet, but I did run a simulation of the upcoming season. I don’t like to put a lot of stock into these kind of things, but if you’re the sort of person who does, I’ve got good news for the Jays fans out there: The team’s simulated record of 57-105 is good enough for last place in MLB! Nothing like getting the first overall pick in the draft! Other interesting stuff: The Cards won the World Series; neither the Red Sox or Yankees made the post season; Tampa won the AL East; and the Orioles claimed the wild card spot. Conclusion: If you’re the type of person who puts a lot of stock into these kind of predictions, you might want to rethink your stance. It’s no secret that Cito Gaston has fallen out of favour with Blue Jays fans, or at the very least, with Blue Jays bloggers. But the team is bringing him back for another season, so we may as well try to find something positive in it. It’s no easy task, but I may have found something to watch. I may be grasping at straws and possibly a little delusional, but bear with me. I really like the addition of Joey Gathright (and not just because he can jump over cars). Good defence, lots of speed, a real threat on the basepaths — that’s a player that could be really entertaining to watch. He could also be frustrating as all get out, since he seems to have real trouble getting on base. So, trying to justify my little bit of excitement over this signing, I realized that the situation seems a little bit familiar. I seem to remember that the Jays of yesteryear brought in an outfielder with tons of athletic ability, stupendous speed, amazing defence and real difficulties getting on base. I also remember how a certain man named Gaston helped turn this speedy outfielder’s approach around and in the process creating the dangerous W of WAMCO. 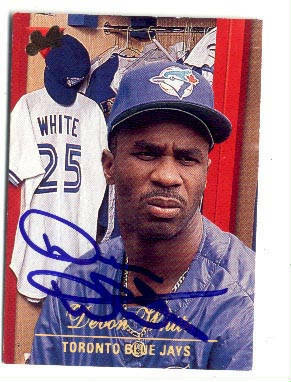 Now, I’m not saying that Joey Gathright is anywhere near as good as Devon White on one of White’s bad days, but I can certainly see the similarities. 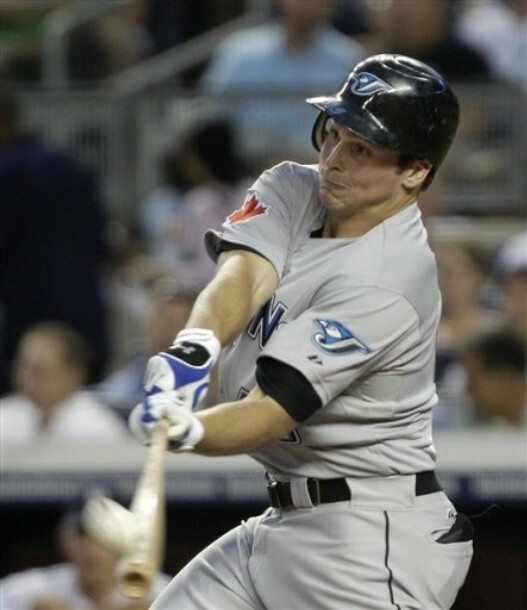 Before joining the Jays, White’s best OBP was a disappointing .306. Gathright’s coming in with a career OBP of .327. In his first year with the Jays, White’s OBP went all the way up to .342. Now, that’s not spectacular, but it was enough combined with all of his other gifts to win over Toronto fans. Who’s credited with White’s development at the plate? None other than Cito. Does Gathright have the potential to produce at a Devo-like pace? Since potential isn’t something that can really be measured, I’m going to just say yes. Does Cito have it in him to turn Gathright’s career around? Probably not, but let’s hope so. It may be The Manager’s last chance (barring some miracle PLAYOFFS!! !1) to leave his position on a positive note. I know this post has holes big enough to drive a truck through, so go ahead if you feel inclined. I just saw a loose connection and really, really want to hope for the best. 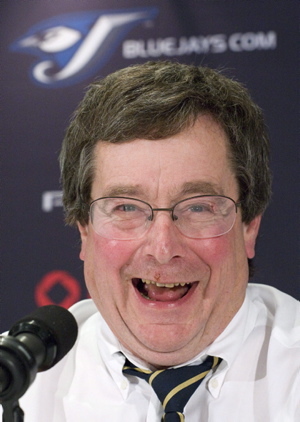 Call me crazy, but I’m pretty happy that Paul Beeston has signed on as president and CEO of the Toronto Blue Jays for the next three years. A quick look through Jays blogs seems to show a general lack of enthusiasm for Beeston’s no-longer-interim position. The main arguments against him appear to be that he didn’t do enough to help the team this year and that this all but guarantees the return of Beeston’s good buddy, The Cito Gaston, as team manager next season. Personally, I’m willing to give Beeston the benefit of the doubt on what happened with the team this season. I’m going to assume that he really was searching for a new president and that all questionable moves he may have made ($80-million payroll instead of $100 million?) were in an attempt to get affairs in order for the new person whenever he started. The Cito thing does scare me. The Cito, as is well established at this point, is not a man who can hack it in today’s game. 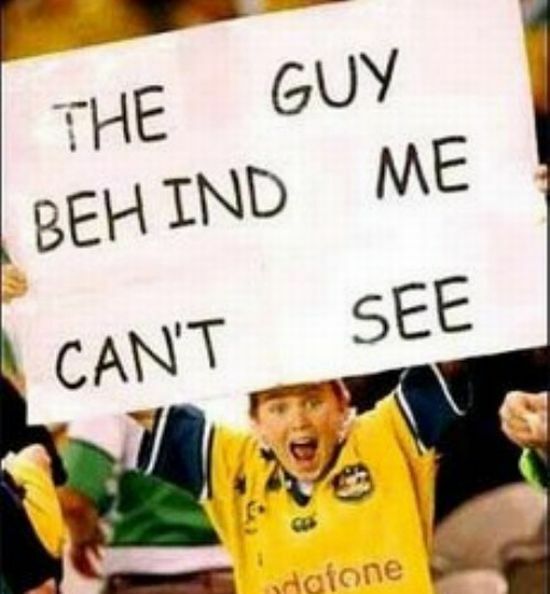 He can’t communicate with the players. He can’t manage lineups or make in-game decisions — unless you count doing nothing as a decision. But maybe Cito staying isn’t as set in stone as it might seem to be. Not that Howarth knows exactly what’s going on in the Jays’ offices, but I’m willing to bet he has a better idea than I do — not that that’s a hard feat to accomplish. But back to giving Beeston a pass on this season. Or, more accurately, why I’m willing to. When I look at Beeston, I see a guy who’s dedicated to winning (or at least gives the impression that he is), a guy who, of anybody, seems most likely to convince Rogers to loosen the purse strings in terms of payroll and, possibly most importantly, I see a guy who might be able to bring Pat Gillick back to Toronto.